« Ethiopia Trip, Part 2. Some of the Merkato was under a single roof. There were narrow places to walk, and on every side was a stall packed with things to sell. Scarves, jewelry, wooden animals, traditional clothes, baskets, etc. I was really nervous to haggle (something I’d never done before) so I decided to leave that to Paul. But when the time came, I just jumped right in. They mark everything way up and expect people to ask lower; and keeping that in mind, it became a game to me. In the end, both the seller and me, the buyer, ended up happy. They sell it higher than they would to a local, and we buy it way cheaper than we would in the States. We bought 2 scarves…one for each girl. Gab’s is a wear-every-day kind and Mili’s is a very traditionally Ethiopian scarf. Many women wear scarves over their heads (not just the Muslims); usually they’re thin and white with some design just on the ends. On the end of Mili’s, it’s the Ethiopian colors in stripes (much like their flag). We bought some beaded bracelets (again with the colors as beads) a couple painted clay bowls, and pictures made of dried and painted banana leaves.We also bought some coffee for Paul’s family. We bought the 3 kids at home wooden animals. But by far, my 2 favorite things that we bought were incense and berbere. During the ceremony, they burn incense, so between the coffee, incense and charcoal, there’s a smell that can’t be forgotten. Also, in churches, they burn the incense, so the smell is common. And since we associate smell with memories, I knew I wanted to bring that smell home. I bought tons of the stuff. 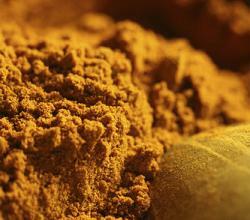 Berbere is a spice (rather a combination of spices) that is used in lots of traditional foods. The food is amazing. It’s quite hot and smells amazing. I bought 2 kg of the stuff. 3 comments to Things we Bought in Addis Ababa. How exciting, and you’ve become a haggler, ha. I’d sure love to try their food; I love spices and exotic flavors. Thanks for sharing your experiences with us, looking forward to more. Yeah, the food is so good. If you email me your address, I’ll send you some berbere. signe@warp-zero.com I’d recommend the doro wat (chicken stew); there’s lots of recipes online for it. The scarf is a lovely keepsake. hope you had a fantastic time.